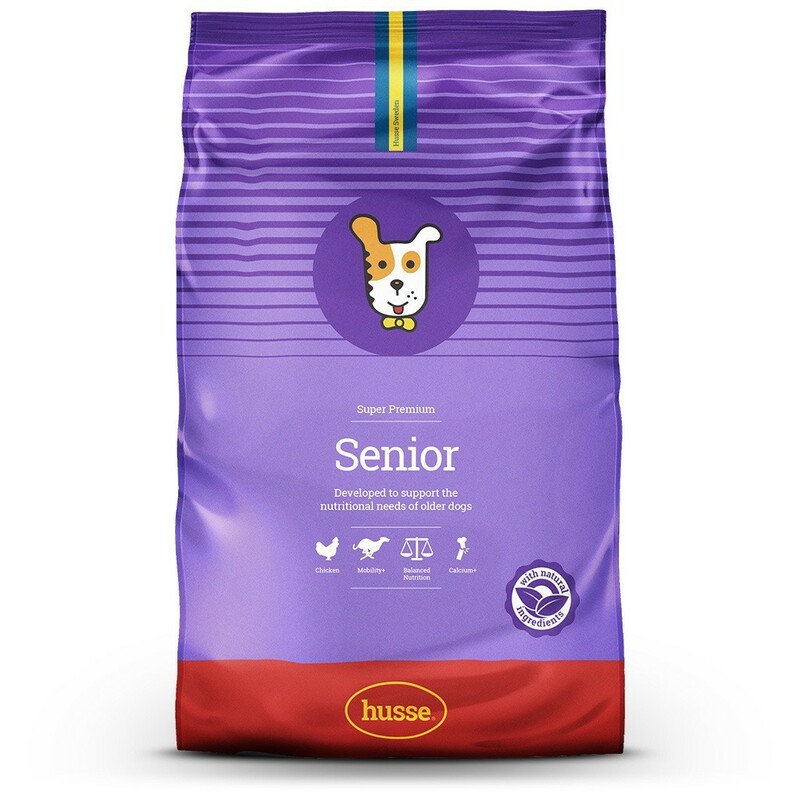 Husse Senior is designed for our senior companions to assure optimal health, and delay the effects of aging. A combination of vitamins A, C, E and grape seed extract strengthen the dog’s immune system, slowing down the process of cell aging. 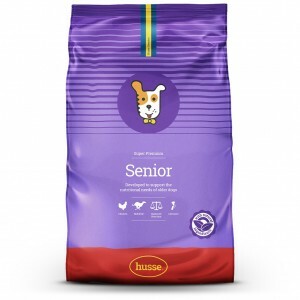 Taurine supplement supports heart function, vital in the nutrition of older dogs. Low fat content helps maintain optimal body weight. chicken, wheat, rice, wheat meal, animal fat, beet pulp, linseed, hydrolyzed chicken protein, dried fish meal, salmon oil, yeast, dried whole eggs, salt, fructo-oligosaccharides, lecithin, tagetes extract, sea algae, grape seed extract, green mussel extract. Protein 22.0%, fat content 9.0%, crude ash 5.0%, crude fibre 3.0%, calcium 1.0%, phosphorus 0.7%, chondroitine-glucosamine 1000 mg/kg, taurine 1000 mg/kg. Vitamin A 16000 IU/kg, vitamin D3 1600 IU/kg, vitamin C 200 mg/kg, vitamin E 450 mg/kg, E1 (lron) 160 mg/kg, E2 (Iodine) 2.5 mg/kg, E4 (Copper) 6 mg/kg, E5 (Manganese) 50 mg/kg, E6 (Zinc) 86 mg/kg, E8 (Selenium) 0.16 mg/kg; Antioxidants: tocopherols.